The decision to grow and market organic produce takes commitment and vision. The transition/conversion period, committed organic standards and learning the details of organic farm management can be a complex and lengthy process. However, at Payneham Vale, these barriers to entry are stripped away to give the new owners the greatest possible start to their organic farming future. Converting a farm to a certified organic farm can be a long and expensive one, but here all of the work has been done. 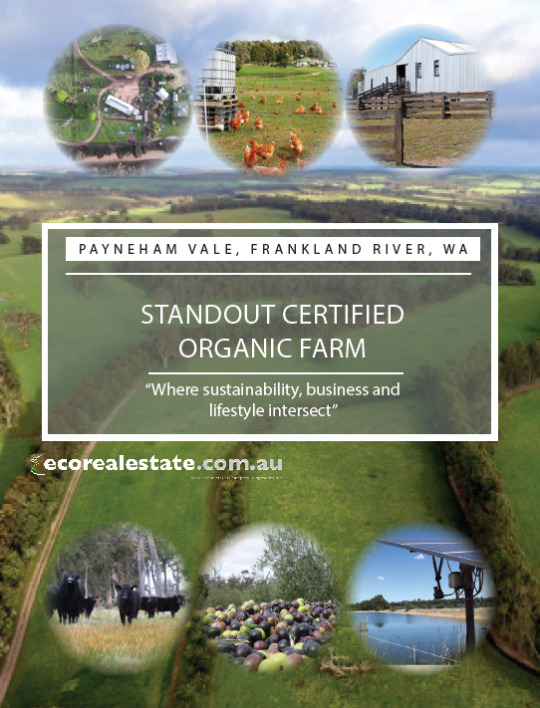 Payneham Vale been NASAA certified organic since 1997 and has received international awards for environmental excellence. The option to walk into a productive, integrated and profit-generating farm from day one is rare and valuable opportunity. The Walk in-Walkout option means the new owner can continue with immediate $16,000 cash flow monthly, along with the lump sum inflows from contract sales throughout the year. The buyer has the unique option to draw upon Ron’s vast knowledge and experience as a property design and water consultant. Ron is offering the new owner/s a guided 12-month learning opportunity, where you will be able to fully learn the organic practices of the farm and assist to transition you quickly and expertly through his knowledge and experience of this land. Ron’s concept of whole farm planning has seen him win several major environmental awards including the United Nations Environment Program (UNEP) Global 500 Award, UNEP Saving the Drylands Award, Rural Achiever of the Year Award and the Churchill Fellowship.